Local guy Andrew King has put out two clever series of t-shirts with screen prints borrowing from some Ottawa sign graphics from yesteryear. Here’s a tour with images of the signs that still exist from his first series of tees. 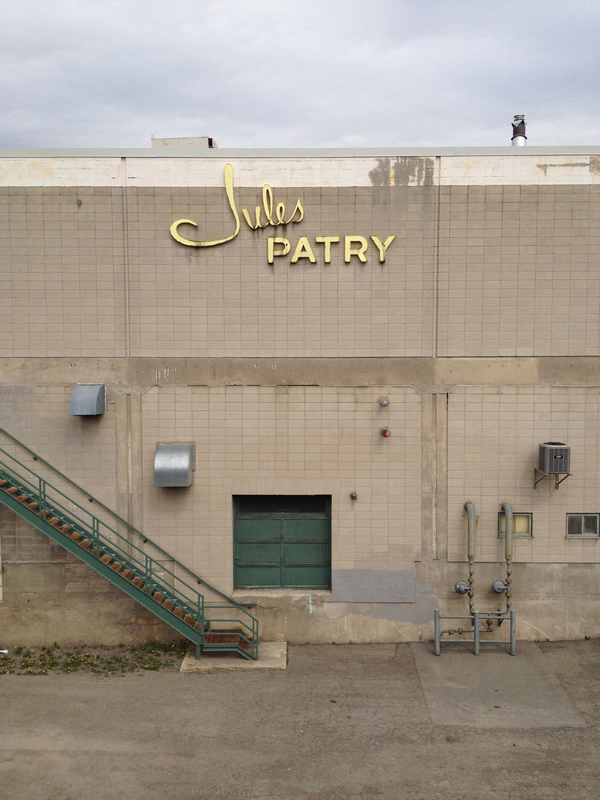 First stop, Jules Patry, as seen from the Somerset Bridge over the O-Train tracks. It’s on the southern facing wall of the City Centre building. On his web page Andrew acknowledges the tongue-in-cheek typo on his shirt, Pastry vs Patry, because most folks do mistakenly think it reads as Pastry, or Party. EDIT 2017 – The Jules Patry sign is long gone. Speaking of City Centre, There used to be big distinct channel letters on the hi-rise part of the building, but they’ve been removed! Fortunately they are depicted on another one of Andrew’s t-shirts from the same series. 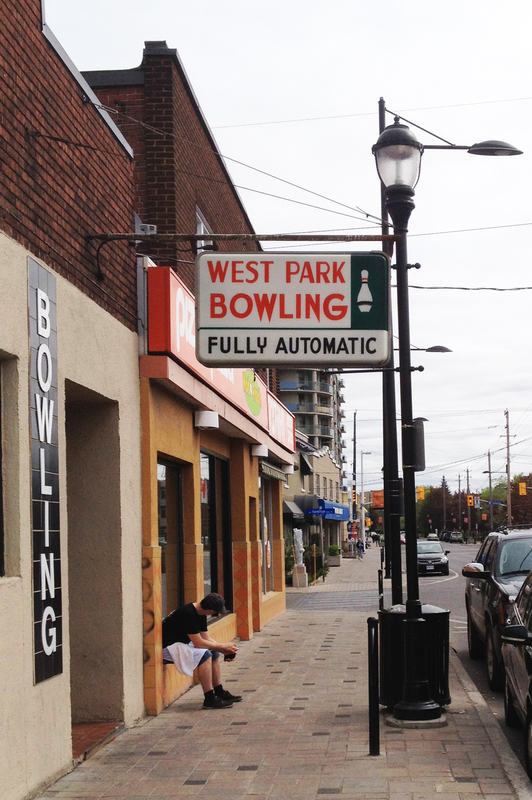 Stop #2 – West Park Bowling on Somerset near Holland Ave. Great sign, great bowling alley. Next stop – Civic Pharmacy on Carling. Love it. 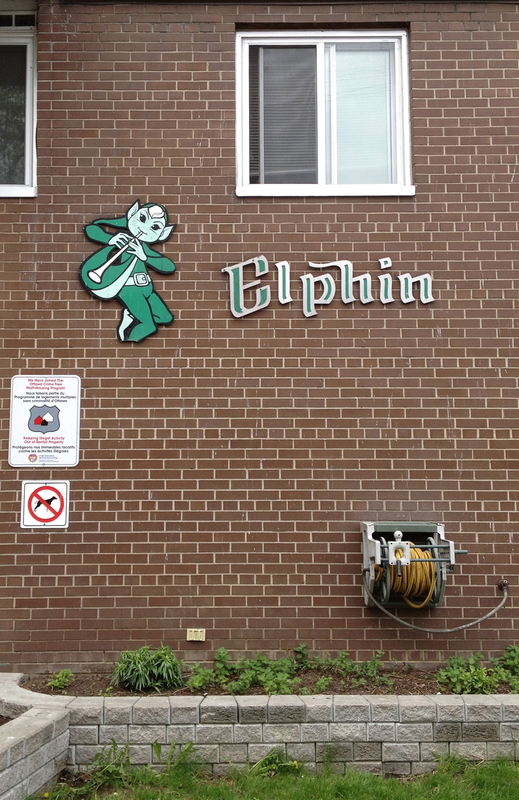 And finally, the Elphin. Hope they replace his foot. Andrew’s t-shirt designs help remind us how these and other great heritage signs are to be cherished, and how much they contribute to the city’s character. Ah the ubiquitous Elphin. Still there.